There are three primary government-backed mortgage programs that meet the needs of different types of borrowers and they all have their advantages. These three programs, USDA, VA and FHA loans provide competitive financing options with some very special features. 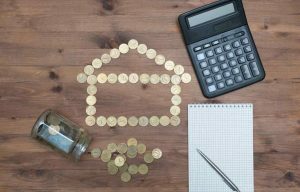 Let’s take a closer look at each of these programs and review why they’re not only a good option to use as a purchase money loan but are pretty handy when it’s time to refinance. The United States Department of Agriculture, or the USDA, has been around in various forms for decades. Today, the program has evolved into the USDA loan whose primary mission is to provide financing options for those who wish to buy and live in a property located in a rural or semi-rural area. This is a needed program for those that choose to live away from suburbia. Conventional loans can be used but in areas where there aren’t that many homes sometimes financing a rural property with a conventional loan can be a challenge when there are no sales of similar properties in the area and the value of the land can be too high compared to the value of the structure. This is called a “lot to value” consideration. The USDA loan program recognizes this and is an excellent option. The USDA mortgage does not require a down payment which perhaps is the most popular feature. This means less cash to close while saving buyers money at the closing table. The USDA home loan also carries a loan guarantee to the lender. Should the loan ever go into foreclosure the lender is compensated for the loss. The USDA Loan Guarantee is financed with two separate premiums, a one-time fee that is rolled into the loan amount and an annual fee that is paid in monthly installments. The one-time fee is 2.0% of the loan amount and the annual fee is just 0.5% of the loan balance paid in monthly installments. There are restrictions regarding where the property can be located and qualifying household income cannot exceed 115% of the median income for the area. When refinancing, there is another advantage: the amount of documentation needed to refinance out of a USDA loan and into another. When buying a home with a USDA loan, the application is fully documented. That means paycheck stubs, W2 forms, and tax returns will be provided and reviewed. Bank statements must show enough funds in the account to cover necessary closing costs and a credit report will be ordered. However, the USDA Streamline Assist program is the exception as there is very little documentation required. The USDA Streamline Assist refinance program does not require income or employment to be documented. There is no need for a property appraisal so home valuation issues are not a concern as well as lowering overall closing costs. And speaking of closing costs, they can be rolled into the final loan amount as well. As long as the monthly payment is being lowered, borrowers can be eligible for this program. Two important factors to remember with the USDA streamline assist refinance: First, the homeowner(s) must currently have a USDA loan to be eligible. Secondly, the borrower cannot “cash out” any equity, this refinance program is strictly for rate/term purposes. Read more about the USDA Refinance here. The VA home loan program is recognized as the best option for those wanting to come to the closing table with no down payment, competitive rates and restricts the buyers from paying certain types of closing costs. The VA loan program provides an array of loan choices including fixed rate terms ranging from 10 to 30 years as well as variable rate and hybrid loans. There is also a guarantee to the lender of up to 25% of the loss should the loan ever go into default, which is rare for a VA loan. The guarantee is financed with a single insurance premium referred to as the VA Funding Fee. The amount of the fee varies based upon the nature of the borrower, the existence of any down payment and borrower type. The VA funding fee for example on a zero down, first-time use is 2.15% of the sales price, rolled into the loan. There is no monthly premium payment, just the one-time funding fee. The VA purchase loan is considered a fully documented loan. Eligible borrowers include veterans, active duty personnel with more than 180 days of service, National Guard and Armed Forces Reserve members with at least six years of service and un-remarried surviving spouses of those who have died while serving or as a result of a service-related injury. The VA streamline refinance is technically referred to as the Interest Rate Reduction Refinance Loan or IRRRL, but most refer to it as the VA streamline due to the lack of documentation needed. The streamline can only be used when replacing an existing VA loan with a new one. Requirements ask that the newly refinanced loan have lower monthly payments or refinance out of a variable rate into a fixed. There is no appraisal, no income or employment verification and no minimum credit score requirements. For those homeowners wanting to pull cash out, there is also another VA refinance option which allows borrowers to finance up to 100% of the newly appraised value and taking cash out during the process. The VA Cash Out loan is a fully documented mortgage. The third of the three government-backed programs belongs to the Federal Housing Administration or the FHA. The FHA loan is also a fully documented mortgage when used as a purchase money loan and requires a down payment of just 3.5% of the sales price. The FHA loan is extremely popular among first time buyers due to the low down payment required, relaxed credit guidelines and competitive interest rates. If someone is not VA eligible or does not want to finance a rural property, the FHA program is an ideal choice. The FHA mortgage also carries a “streamline” feature as do the other two government-backed loans. As long as the applicants are refinancing an existing FHA loan with a new FHA mortgage, the streamline can be used. The streamline does not require income or employment to be verified, there are no bank statements needed and there is no appraisal required and no minimum credit scores needed. The minimum requirements include the existing FHA mortgage must be at least 210 days old, the mortgage must be current with no payments made within the last six months more than 30 days past the due date and no more than one within the previous 12 months. FHA also permits cash out options generally up to 85% loan to value. Learn more about FHA refinance here. Please reach out to us to learn more about any of the programs listed by calling the number above, or just submit the quick Info Request Form on this page.